If you’re at all interested in games with unconventional art direction, just go download the demo from Xbox Live or the PlayStation Network. 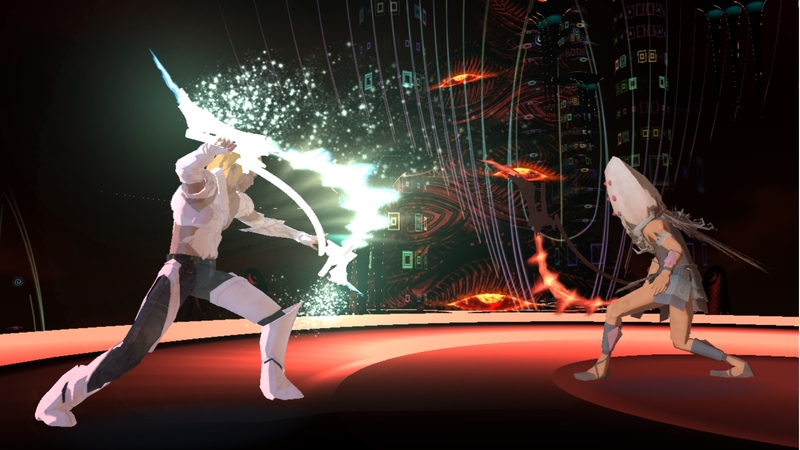 “El Shaddai” is the brainchild of Takeyasu Sawaki, who worked on arty PlayStation 2 and Wii critical darling “Okami.” As you’d expect, it’s a treat to look at. Storywise, “El Shaddai” is based on the Book of Enoch, an ancient religious text found within the Dead Sea scrolls. Its hero, Enoch, is trying to save the world from a great calamity brought about by seven fallen angels. 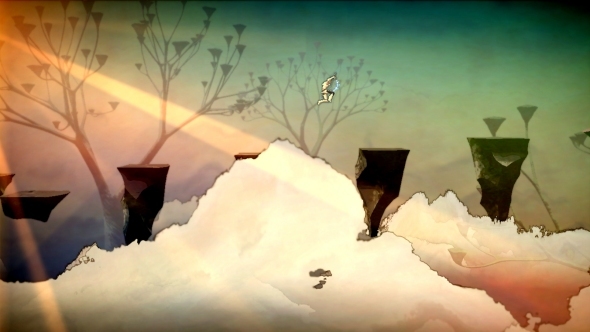 The game is organized into seven different worlds, which each representing a different fallen angel’s ideal world. From a design standpoint, the demo offers up both what makes “El Shaddai” great and what I fear might hold it back.The levels you get to play are these beautiful, shifting organic-looking worlds that are stunning to look at and virtually beg to be played again and again. The seemingly simple combat is deeper than it looks, with attacks becoming more effective if you’re able to expertly timed your attacks (mapped to the X button on the 360) and blocks (right bumper). Over time, the weapons you use become tainted with the corrupt blood of your enemies, meaning they do less damage. To fix this, you have to purify the weapon by holding down the left bumper button for a second or so, leaving yourself open to attack.All this is great, but based on the demo, I can see a couple of flaws in El Shaddai. One is worrisome, the other merely worth noting. The minor flaw is that for as stunning as its levels look, El Shaddai’s characters, particularly Enoch, aren’t much to look at. They’re not incredibly detailed, and their PlayStation 2-like renderings seem out of place when set against Sawaki’s gorgeous levels. When I think of the stunning angels we saw in “Bayonetta,” it feels like maybe an opportunity was missed here. The other flaw I noticed, and this is more of a problem, is that the arty level design occasionally interferes with gameplay. Because of the heavy use of dark backgrounds and silhouettes, it can occasionally be difficult to tell exactly what Enoch is jumping to. I fell to my death a handful of times simply because I struggled to figure out whether a stretch of white/black space was something I could jump to or mere decoration. I’m having trouble figuring out how much of an issue this will be in the final game. The penalty for dying isn’t great, so it’s not a setback to fall through a couple of holes. It’s just mildly frustrating. And with each level looking so different than the ones before or after it, it’s possible this only crops up in a tiny area of the demo. As someone who prizes originality, I’m eager to get my hands on “El Shaddai,” but I’m also managing my expectations a bit. 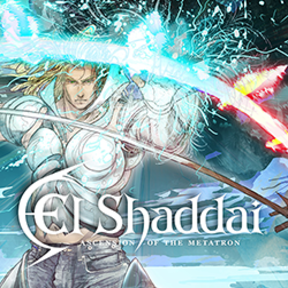 “El Shaddai: Ascension of the Metatron” (rated T) is due out July 26 for Xbox 360 and PlayStation 3. Posted on June 20, 2011, in Previews, Religious, Videogames and tagged demo, El Shaddai, Enoch, Okami, PSN, Video games, Xbox Live. Bookmark the permalink. 1 Comment.